What is beyond the vale? What happens when we climb over obstacles, metaphorical or physical, and peek at what’s behind? 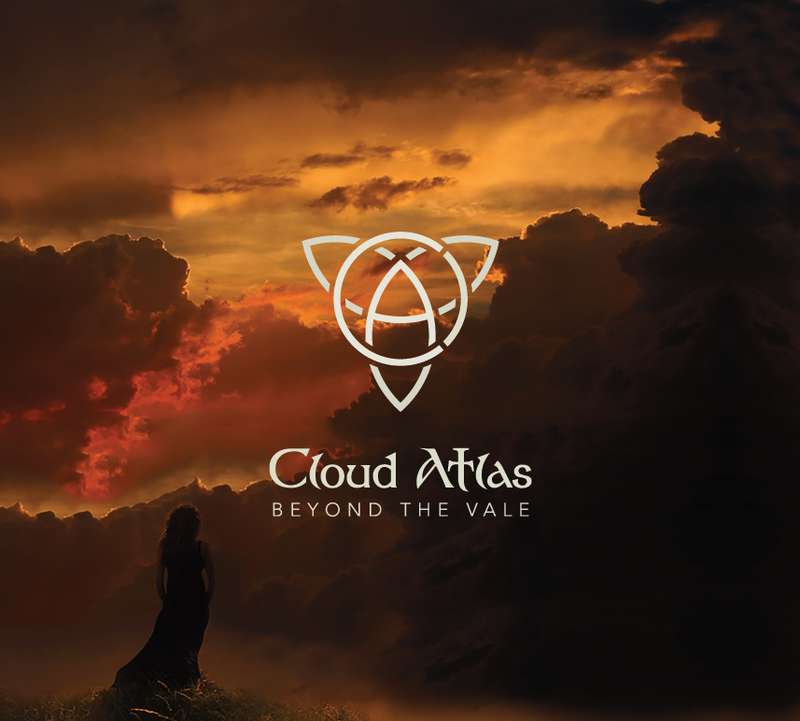 It’s the theme that runs through the whole of the spellbinding debut album by Cloud Atlas. For here, in a glorious hour of music, is a questing space populated by characters searching for elusive answers just out of reach; characters who then dare to go beyond the curtain to meet their revelation or their ruin. And so it might have been for Widdop herself. A member of York’s burgeoning prog-rock scene, and alumna of some of that city’s most prominent bands, in 2013 the singer, songwriter and musician set out on her own quest to realise her own vision with her own band. Bringing long-term collaborator, guitarist Martin Ledger, in to the fold, alongside Dave Randall on keys, Stuart Carver on bass and Neil Scott on percussion, Cloud Atlas was born. Thank goodness for the Cloud Atlas version, then. A magisterial and mesmeric opener, its wordless and atmospheric beginnings are bewitching and highly evocative. Having lulled you in to a sense of security, Martin Ledger’s propulsive riff and sublime passages of lead guitar rip the song open and let it transcend. It’s difficult to put in to words that moment when a song takes flight and becomes transformative. “Searchlight” is chock full of them. Widdop’s voice is an instrument of astonishing potency and power. From a smoky, soulful whisper, to an all powerful, revenant wail, her range is impressive and her control second to none. Calm and gentle when the song calls for it (such as during the piano-led “The Grieving”), fiery and full-throated when required (see the epic scale of story-song “Stars”), it’s a wonder that her artistry isn’t more widely known. Others might point you to the likes of Janis Joplin, but its a feminine sounding Chris Cornell that springs most readily to this mind. It would be difficult to heap enough praise too on both the production of Zac Bajjon and the subtle expressive playing of the other band members. Recorded largely at Bear Studios (with only percussion recorded at The White Rooms) the record has a rich and warmhearted sound, each instrument given space to breathe and room to maneuver. Neil Scott’s playing in particular stands out. His drumming is fluid, adept and perfectly poised, delivering timbre and groove without overwhelming any song. It sounds simple to the ear, but it’s difficult to be so beautifully restrained. That’s not to take anything away from the dextrous depth delivered by Stu Carver on bass or the fullness of sound found in the keys of relative newcomer Dave Randall. Each brings a vital and key component to the Cloud Atlas sound. “Let The Blood Flow” then, ostensibly a song of two halves cleaved down the middle by the pounding heartbeat of Scott’s drums, delivers a searing sensuality brimming with poetic lust and hinting at vampiric tendencies. “The Grieving”, one of the shorter and more deeply intimate sounding songs on the record, seems to deliver a monologue of heartbreak and emotional death, rather than a literal physical one. In its shift to piano from guitar, it also adds a welcome change in tone and texture. A whole review in itself could be written about the aforementioned “Stars”. Coming three-quarters of the way through the album’s running time, it nevertheless is also an astonishing centrepiece, showcasing the most impressive performances on the LP; not least in Ledger’s firebrand guitar and Widdop’s emotive vocal heft. It’s an incredible highpoint on an impressive debut that delivers on all counts. An exquisite album, rising and falling like an ocean-sized swell, Beyond The Vale is ultimately a mesmerising journey of pressure and release, and one that holds numerous paradoxical notions in fragile tension. Nakedly intimate and yet painted boldly on a vast canvas; elegantly simple in sound but achingly complex in scope; the album is a living, vital and dynamic delight from beginning to end. Dare to seek it out. Keep up to date with all things Cloud Atlas at their official website, Facebook page and Twitter feed.